This entry was posted on October 27, 2010 at 9:01 pm and is filed under UltraStar. You can follow any responses to this entry through the RSS 2.0 feed. You can leave a response, or trackback from your own site. I bought two singstar microphones and installed them in accordance with this blog. The microphones seem to be working as I can gain points when singing the song, but cannot hear singing coming out of the computer speakers. To hear your singing through the speakers, plug in the microphones, and go to the usual Control Panel -> Hardware and Sound -> Manage audio devices, and click on the ‘Recording’ tab. Select the microphone to configure, click on ‘Properties,’ and then go to the ‘Listen’ tab. There should be a checkbox there saying ‘listen to this device.’ Once you’ve selected this and clicked on ‘OK,’ you’ll probably start to hear sound coming through the speakers straight away. You may want to configure the volume of the microphone at this stage – to do this, go back into its properties, select ‘Levels,’ and adjust the volume accordingly. Once these settings are in place, you can load up UltraStar and it should continue to work in the game. I hope this helps, thanks for reading. I’ll add this bit to the guide when I get round to it! Let me know if these instructions don’t follow. Awesome post man.. Really helpful.. Had been breaking my head over this for quite a while..now..
Do you have instructions for telling the computer about 2 microphones with windows xp? Joe – the official UltraStar wiki used to have the instructions on there, but I am unable to find it – you may have more luck! If I can find a computer with XP on it I’ll have a play around and get back to you. In the mean time, it’s best just to experiment – try and find the equivalent options that are displayed in the guide. Sorry I can’t be more help for the time being! What an awesome tutorial. i understood every word and it worked. Thank you so much. i have been struggling for a year now to get this to work! THANK YOU FROM THE BOTTOM OF MY HEART !!! I waited for this ever since I got singstar on ps2…I found Deluxe but couldn’t configure the Microphones! I’ve been waiting for this for about 4 years…Thank you again !!!! No problem Kallos – I take it that your post on the “Getting Started” entry has been resolved then?? Sorry I haven’t had a chance to reply until now! 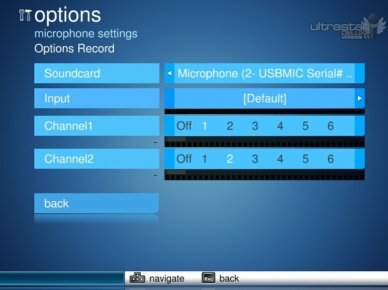 I’m having a problem with my microphone, I’m using one and I’ve done all the steps but for some reason no sound is being picked up by it, the microphone worked on my ps3 and I’m using windows 7. Sorry, ignore the above comment, I’ve gotten the microphone to work only it stops working when a song starts. I’m not really sure what to suggest I’m afraid – have you got another microphone to test? Does UltraStar pick it up in the microphones set up stage? Can you get it to work in ChallengeMod? 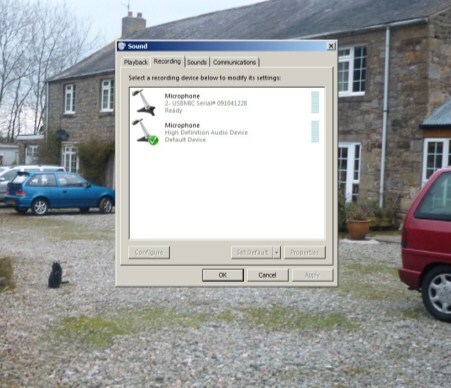 I’m also trying to configure the Wireless Singstar microphones to be used with Ultrastar with Windows 7. I follow all the steps and I get everything working. However, when we sing, we hear our voices through the speakers being delayed a fraction of a second, which makes it very annoying if not impossible to use. I’ve been searching through the web for a possible solution but I couldn’t find any clear solution for me. 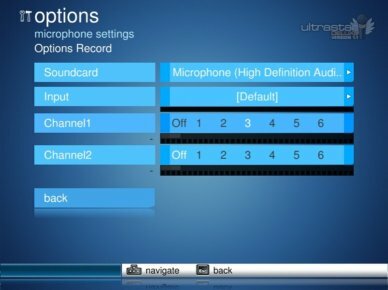 Apparently, for some people it works to uncheck the “Listen to this device” box, in the properties of the USB microphone (under the “Recording devices” tab), and then go to the Speakers properties (under the “Playback devices” tab) and unmute the microphones in the Levels tab. Unfortunately, in my case, the microphone doesn’t appear in the Levels tab of the properties of the speakers. Did any of you had a similar issue with the delay in your voices? If so, how did you solve it? In your case, does the Singstar microphone appear also in the Levels tab of the properties of the Speakers? 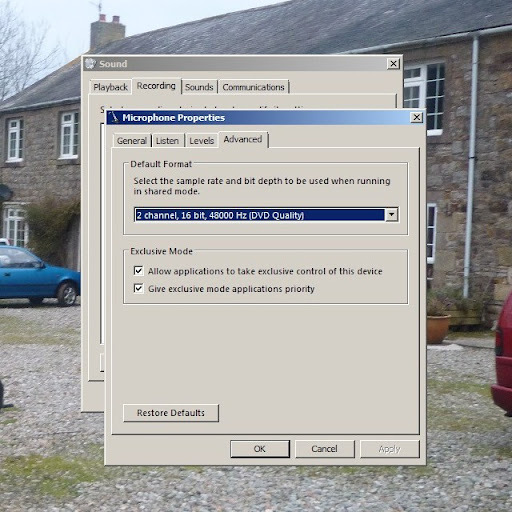 Hi – unfortunately I’m not sure of what the solution to that problem is (I keep the microphones muted) – though Vocaluxe has options for adjusting microphone delay etc. Have you tried the microphones with that? I set up a microphone, got it working on my computer. When I tried to test it on the game, it told me that no microphone was assigned for player 1, and does not read input at all. ]I swear I’m not tone deaf!! I will be racking the internetz for a solution, but if you have one, will you please let me know? I have tried three different types of microphone, including a professional one.